Review: I want to begin by saying that I received this book for free through Netgalley, but all thoughts are my own. This book is a thriller based on technology & the growing roles of social media, encryption and blockchains within modern society. It’s about a woman named Amanda who is living a normal life until she is sent a parcel, and this parcel immediately makes her the most targeted woman on the planet & she is an enemy to many. I’ll admit I wasn’t too sure what I was getting myself into with this book but I did really enjoy it. There was a lot of action, a lot of swearing (a warning to those who don’t like bad language) & a lot of tech & coding based jargon. Some of what was being mentioned I didn’t initially understand, but I felt as if Stewart Hotston helped explain things a little more. This book really did grab my attention to begin with and I thought the synopsis provided by Negalley was super interesting I had to request it. I am also thinking a sequel may come out for this book as it does end on a cliffhanger, but it can also work well as a standalone novel. I thought there were a lot of unique and interesting characters from various backgrounds, and there’s most definitely a political element to this book. And although I’m not usually one to get into politics, I do think it added a lot to the story and created an extra element to the reasoning behind certain characters actions. There’s a fair bit about gender, race and other things similar to that which I wasn’t expecting, but as I said before, it definitely adds something to the story. I do also feel as if I may need to do a bit of Googling to understand certain elements of the plot better, both relating to politics but also the internet and coding, but enough information is provided within the book to have enough of an understanding that it doesn’t affect your enjoyment of the plot. 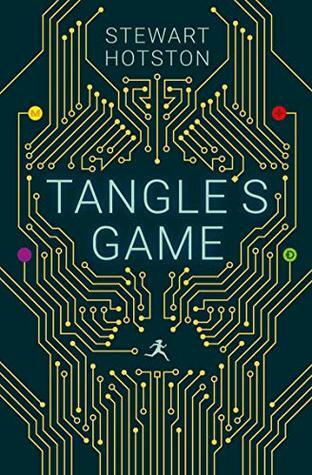 If you’re into tech and coding I definitely recommend this as a must-read, and even if you’re not into coding, it is an interesting book with a unique plot and a nice variation of characters. Overall, there’s a lot of drama and action and it’s a unique plot with interesting characters. Any book lover will know the problem of having a never-ending TBR pile. For those who are unaware of what TBR means it means To Be Read. Book lovers (also known as bibliophiles) will typically have a TBR pile that is always growing, and I realised the other day that I have books on mine that I’ve had on there for years and not read yet! I’m quite organised with my Goodreads, so went to my ‘owned but not read’ list and looked at what has been on there the longest and I was shocked. The oldest book I have on there is ‘Doctor Who: Shining Darkness’ by Mark Michalowski and it’s been on there since August 8th 2012!! I’ve owned that book for probably longer than 7 years and still haven’t read it and that needs to change. Other books I’ve owned for years and haven’t read include ‘The Hobbit’, Harry Potter books 5-7 and the Naughts and Crosses series by Malorie Blackman. Of course there’s more but seeing this has produced a little challenge I want to set for myself. By the end of this year I want to have gotten through all books I’ve owned but not read from 2012 and possibly some from 2013. I already set myself the challenge of completing the Harry Potter series so that’ll easily get ticked off the list. I am just shocked at myself for owning these books for so long and not reading them. I’ve actually recently been mixing new and older books during the month. I’ll tend to read the occasional newer book I own, but then read a few of the books I’ve owned for years and a review copy of an eBook if I have any currently on the list. I think that method of mixing new and old books really helps the TBR pile decrease while also finally getting around to those books I’ve owned for years and years. Has anyone else had this problem? I’d love to know the book you’ve had on your TBR pile the longest! Review: I want to begin by saying that I received this book for free through Netgalley, but all thoughts are my own. This book is about the double life of Jane Austen, the author & the sister/aunt/daughter. In this book we learn a lot about Jane Austen’s everyday life, as well as that of her life as an author. Although I have read 2 of her novels, Persuasion and Pride & Prejudice, I did not know much if anything about Jane Austen herself, so I found this book to be extremely informative & interesting. Jane Aiken Hodge’s writing style is easy to read through, making this a quick non-fiction read, which I appreciate. I do personally enjoy reading a lot of non-fiction but sometimes feel as if it takes a very long time to get through due to the writing style, but the writing in this book was wonderful to read & didn’t feel too heavy. I also like that this book included a lot of quotes and details about Jane Austen’s letters to her sister Cassandra, who she was very close to. I really felt like I was learning a lot by reading this and did really enjoy it and can tell a lot of research and care went into this book, which is a discussion more of the life of Jane Austen than the death, as her death is not really touched upon too much in this book. But I am glad that her death is not really mentioned, partially because I am aware that her death is in a way a mystery, but also since this book is the double life of Jane Austen. I also feel like I learnt more about the world of publishing in the 1800’s and also Jane’s struggles but also successes of being an author. She is most definitely an author somewhat appreciated in her time, but is much more appreciated and admired now. We also did learn more about Jane Austen’s family in this book and love learning about how tightly-knit her family were and how admired she was as Aunt Jane. This is a must read for any Jane Austen fans, or even if you’re just interested in reading about the lives of classic authors. Another month has passed and it means more books were bought! I got 11 books total this month from various places, and I think I need to start cutting down on the amount of books I have come in now. I got 6 physical books and 5 eBooks! I’ll start off with the eBooks. All 5 books I got from Netgalley this month, but only one is currently out so I will begin with that one. 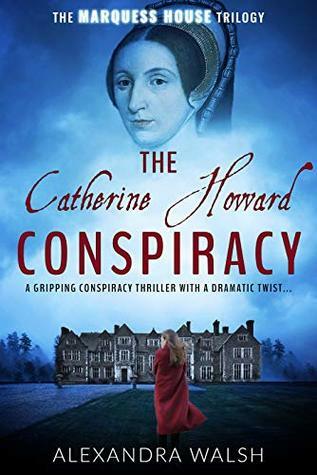 The first book is ‘The Catherine Howard Conspiracy’ by Alexandra Walsh. I read this and reviewed it & my review is linked. I gave this 5/5 stars and it came out on the 28th. I loved this book & I think it’s my favourite book I’ve read this year so far! 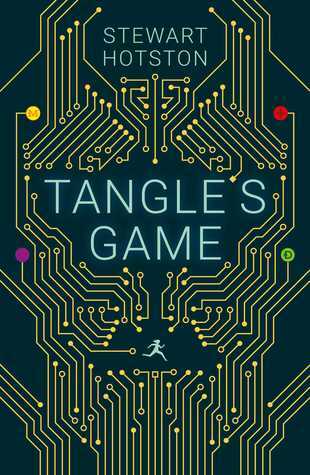 The next book I got ‘Tangles Game’ by Stewart Hotson. I haven’t read this yet & can’t remember too much about this but I know it does come out next month! I’m looking forward to reading it. 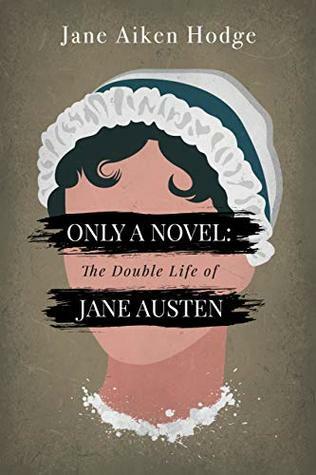 The third book I got was ‘Only a Novel: The Double Life of Jane Austen’ by Jane Aiken Hodge. This is a book about Jane Austen’s life & a review is coming very soon for it. It’s released later this month and I was so interested in reading more and learning more about Jane Austen, an author who I really admire. I’ve only read 2 of her books but find the lives of these classic authors so interesting and I love learning about them! 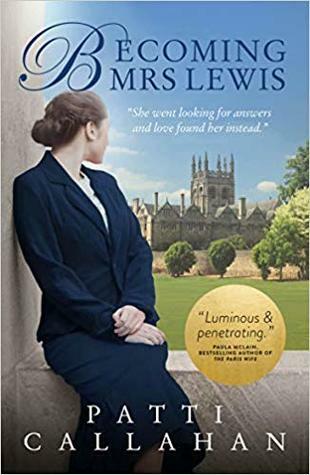 Book 4 I got from Netgalley is ‘Becoming Mrs. Lewis’ by Patti Callahan. This is a book about the love story of C S Lewis & his wife. I don’t know much about C S Lewis either and love reading love stories and I was so excited when I saw I was approved for this, as I really didn’t expect to be approved! This comes out in May. 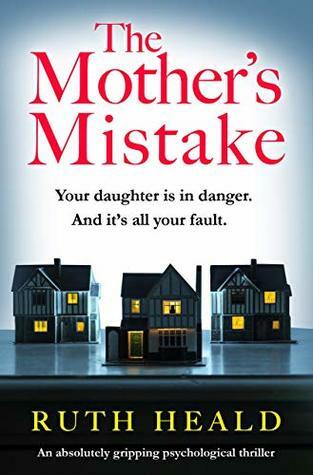 The last book I received is ‘The Mother’s Mistake’ by Ruth Heald. This is a thriller that I requested as it’s a genre I want to get more into. This is released in June. I ended up getting 2 Hardcover books, both relating to Jack the Ripper. I’ve been interested in Jack the Ripper for a while now & am always keen on learning more. 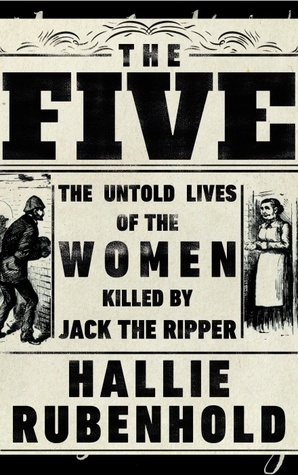 The first book I got came out at the end of February and is ‘The Five: The Untold Lives of the Women Killed by Jack the Ripper’ by Hallie Rubenhold. This is a different book as it’s about the women he killed, instead of specifically about the Ripper himself. I did a review on this as I believe it is important to read about the lives of these women & give them a bit more dignity in death. The other Jack the Ripper book I got is ‘Jack the Ripper: The Casebook’ by Richard Jones, which is a short book but includes little extras of repro letters, so it’ll be an interesting read. I also got 3 books from Spoonie Book Boxes, which is a book charity run by the lovely Daniella for people with physical and/or mental illnesses. I am very greatful to have gotten these books from Daniella who is actually very local to me too! If you’re interested in donating books or money to help Daniella out I’ve linked to her Instagram! These books I got through her were ‘Life as We Knew it’ by Susan Beth Pfeffer, ‘Orphans Tale’ by Pam Jenoff and ‘Born Survivors’ by Wendy Holden. The last book I got is ‘The Whitstable High Tide Swimming Club’ by Katie May. I got this from @mybooksquares on Instagram who kindly gifted this to me as I am more local to the area! This was an incredible reading month for me! I read 6 books which totalled to 2,595 pages, bringing up the total of the year to 15 books and 5,353 pages. I was also very happy to have read 3 books that I received specifically for review as well as getting to read 3 books for myself. I read this first on kindle but then ended up buying a physical copy. This was quite a chunky book but very informative! 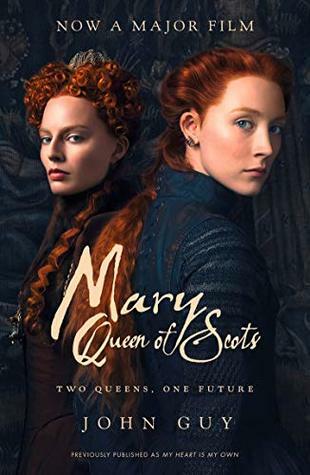 I really love the Tudor era and learning about the history of the British monarchy (being British myself) and Mary Queen of Scots was a figure in history I wanted to learn more about, especially after watching the film, which I also loved. This was so informative and detailed and I ended up learning so much and felt so sorry for her. This is a book I received through Netgalley and it got published late last month. It’s about a conspiracy surrounding Catherine Howard, wive five of Henry VIII, so this was another Tudor era related book! It’s a fictional book and contains two periods of time. I really enjoyed this and it’s my favourite book of the year so far. I did a full review of this, and have linked it. This book is about the lives of the victims of Jack the Ripper. 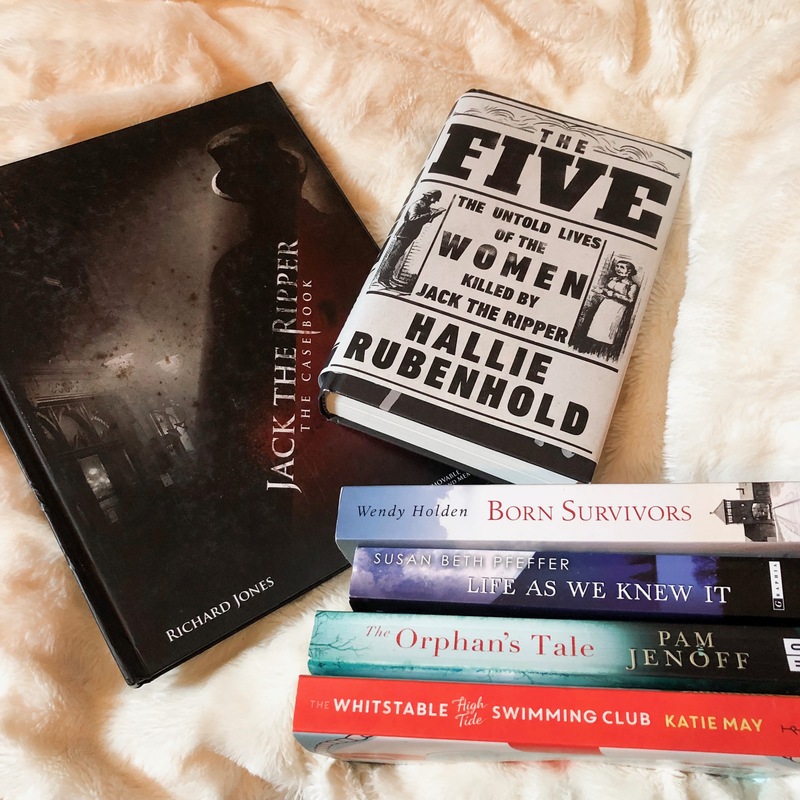 I am also fascinated by Jack the Ripper and thought it was wonderful that someone wrote about the victims, so they can be read about with a lot more dignity than every other book I have ever read or heard of to do with Jack the Ripper. I felt so educated about their lives and really appreciate that Hallie Rubenhold wrote this. I did also do a full review for this and have linked it. I got this book through Voracious Readers, mainly because I have been wanting to read more crime/thriller books and this sounded so interesting!! A murder occurs which looks similar to those done years ago, but it can’t be the same man as he was executed. The detective needs to clear his name. Meanwhile, a woman is joyous over her husband getting his life back together after receiving brain cells from a donor… I really liked how this was written & there were so many twists & turns in this book. I did a review for this and have linked it. This book is about Eleanor Oliphant and her life. She tries to live a very normal life after going through so much in her childhood. I wasn’t keen on this book at first, but enjoyed it a lot after around the halfway point! It’s interestingly written and Eleanor’s vocabulary is very big and complex. I do think this did live up to its hype though. Once again, I have linked to my review. I got this book through Netgalley and it is released at the end of this month! It’s about the life of Jane Austen, both her personal life and life as an author! I really enjoyed learning about her, as she is an author I don’t know much about, but I have read 2 of her books and thoroughly enjoyed them. Reading this has definitely made me want to learn more about her and read more of her books. 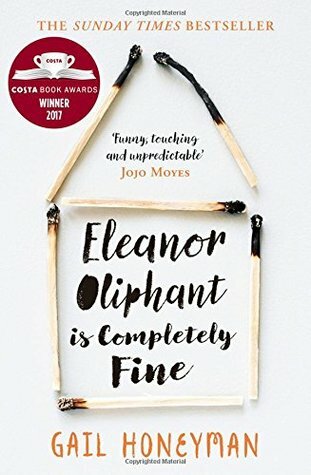 Review: This book is about a 30 year old woman called Eleanor Oliphant who lives a relatively normal life. She lives by a certain weekly routine. She appears to be happy but is she really? Eleanor is a very strong character & seems to be fine despite being on her own all the time, with little to no social life. She has had a lot to deal with throughout her life and is doing her best to try to live normally despite all of this. This book is written from her perspective, so reading her inner thoughts and feelings helped me connect with her a little bit. It felt a little slow paced at first but once I got around a third of the way in I really started to enjoy it and actually managed to read the majority of it in one day because I ended up becoming completely hooked. Eleanor is a little bit awkward but a very well spoken character, and I really enjoyed reading about her interactions with other characters. You see Eleanor develop so much in this book as we learn more about her childhood and I felt so bad for her but also actually proud of her developments! She manages to also develop a friendship that helps her more than I think she realises, and I do really love that friendship! I actually wish the book was longer to read more about them. At the beginning of the book you may just think she is a quirky or even odd character, but as you progress through the book & learn so much more about her you realise that there is more to her than this quirkiness. This is one of those books that I think most people could get through in one or two sittings because it’s so enjoyable. It’s close to 400 pages yet I zoomed through it! I really did enjoy this book and really admire Eleanor’s character because of what she has gone through & dealt with. This book did also discuss various issues not really mentioned much in real life and I think they were tackled very well. If you haven’t read this already I seriously suggest that you do! This book had a lot of hype around it & I do believe that it lived up to it. Review: I want to begin by saying that I received this book for free through ‘Voracious Readers Only’ but all thoughts are my own. This book is about Sergeant Wade McKinnon trying to solve new murders that are exactly like ones that occurred a few years before. But they can’t possibly be committed by the same man as he already had been executed for them. But Wade is the only person alive who knows so much about the Michael Rhodes murders & has to clear his own name when evidence points to him. It also just so happens that Michael Rhodes was an organ donor and some of his brain cells were donated to another man. I’m not usually one for crime novels, but when I read the synopsis of this book in an email from Voracious Readers, I knew I had to put in a request to review it! It’s written in the third person, some chapters focusing on Wade McKinnon, some focusing on a different character and they blended together very well. This book really had my interest as there was so much happening, it was full of new information and characters learning new things about these murder cases. We know things the characters don’t, so it’s interesting to see how the characters react when discovering this information for themselves. It was quite fast paced, but it also felt a little short to me and felt as if it ended a little abruptly. 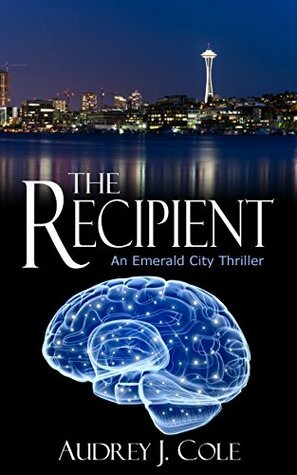 I thought it was well written, had an interesting plot (especially with this idea of partial brain transplants being brought into the story) and always had something being discovered or something going on. We also however got to know more about our main character, Sergeant Wade McKinnon. We learn about his backstory into why he is in this profession & also some of the struggles he has gone through. I’d actually love to read more books with him as the protagonist and main crime solver. This book had a lot of twists and really kept you guessing with some parts, which made it difficult to put down. I was a little confused with some parts which weren’t really explained but I did enjoy this book overall. This book did also make me want to get more into crime. I do recommend picking up this book, and think it deserves to have more people talking about it. Click to follow and you will receive notifications for new posts by email.